Are you petrified of your partner’s retirement? Do you worry that he is going to cling to you day in and day out not knowing what to do with himself? Do you think he may become sullen or full of angst with all this new-found time and freedom? Retirement will be difficult for men and their spouses who have not quite prepared for the transition. In general, men have defined themselves by their career with other roles, such as a father or husband, secondary. On the other hand, women have maintained a myriad of roles, regardless of their work outside the home, and are commonly more social than men. So, it’s not a surprise that retirement can make men feel lost, lonely, more dependent on their spouse. This, in turn, can lead to a new kind of marital stress. Remember, retirement is not for sissies. Retirement offers a whole new way of life, but, it does take planning, courage, and determination to create a fulfilling retirement and marriage. Dream your wildest dreams and plan in advance. For years, you have heard about the importance of establishing a retirement financial plan. 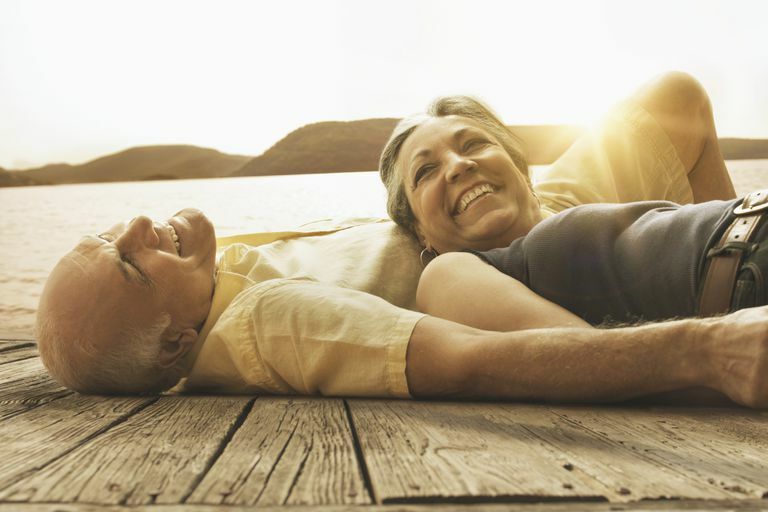 Couples who spend a good amount of time planning how they want to spend their retirement generally report that this has contributed more to their happiness than their financial plan did. Acknowledging your dreams is an important aspect of this aspect of planning. Even if some of those dreams are too expensive or difficult to pursue, they still produce an opportunity for creative planning. Couples often find that these pursuits are accessible, sometimes in a less costly or ambitious mode, and fulfilling nonetheless. Identify what you enjoy doing together. Some couples think they have too much togetherness now that they are retired. Sharing meaningful activities that you both enjoy reduces that tension and increases your pleasure in spending time together. Think about any new activities you wish to try on your own or with others. Create individual space in your home for each partner and allow time to pursue personal interests. We all need space and time to be alone or to pursue our own particular interests. Having even a small area that the other person respects as their partner’s special place as well as guilt-free time to partake in these individual interests reduces tension in the relationship. Hold courageous conversations where partners feel comfortable identifying their unique interests and concerns about this new life stage. Partners who do not share their hopes or fears for this new life stage often have difficulty understanding the others’ actions or attitudes. For instance, a husband whose life had been wrapped around his work or forced into early retirement may be angry that he is not working. Unless he helps his wife understand these feelings, she is likely to resent the angry behavior he may demonstrate. Communication has always been important throughout your marriage and it is even more so now. Do not say “never” or “you always.” If or when an argument surfaces, the accused partner hears only the accusation of blame or guilt and not the underlying reasons why the partner is upset. It is far more effective to tell your partner why a particular action is a problem rather than making an accusation. For instance, he probably did take the garbage out in the past week or two. Hearing you never take out the garbage will most likely only produce defensiveness. Take the time to listen to what your spouse is really saying. Too often, especially when there is tension, we tend to think we heard what the other said. Alternatively, we don’t listen at all. Stable relationships take a lot of empathy, and that is achieved when we feel the other’s pain, concerns, or desires. If you have gotten this far in your marriage, you most likely value each other’s perspectives. Don’t forget this once your spouse is retired. Find reasons to be kind to one another. Kindness is contagious. It’s harder to remain angry when another person is nice to you, and kindness helps deepen the bond as couples grow in their love and appreciation for one another. Let compliments and “thank you"s flow from your lips often. Retirement does not have to mean doom for your marriage. It does mean a significant transition. With transitions comes stress and changes. There are ways to make this as smooth as possible so that you both get your well-deserved enjoyment out of this phase in your life and marriage.